6.1 oz 100% preshrunk cotton. Ash Grey is 99% cotton, 1% polyester, Sport Grey is 90% cotton, 10% polyester, Safety Green, Safety Orange, and Dark Heather are 50% cotton, 50% polyester. "One minor issue to note - the "dark heather" color for this shirt is MUCH more blue in the online pictures than the actual dark gray color. 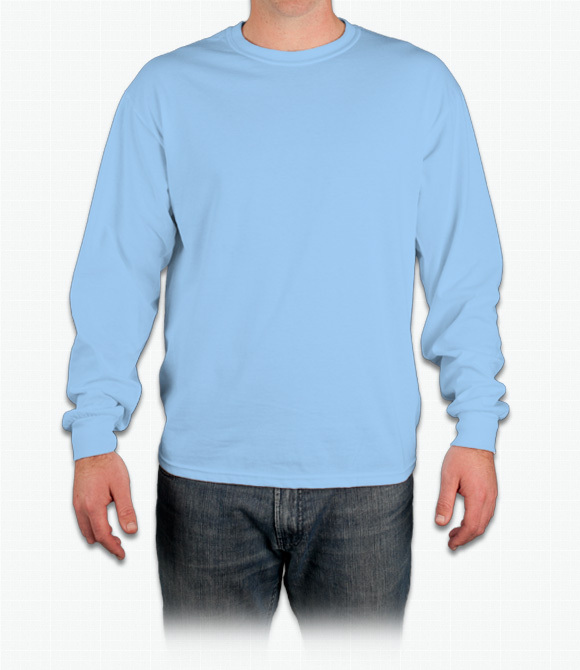 Was not a problem for our group, but might want to adjust color for future business :)"
"The men short and long sleeve shirts were exactly as expected. However the women ‘s shirts were not fitted, they were a smaller version of the men’s shirts. I was disappointed in that, but overall not bad. " "The weight was just what I was looking for. I expect the shirt to last a long time. "